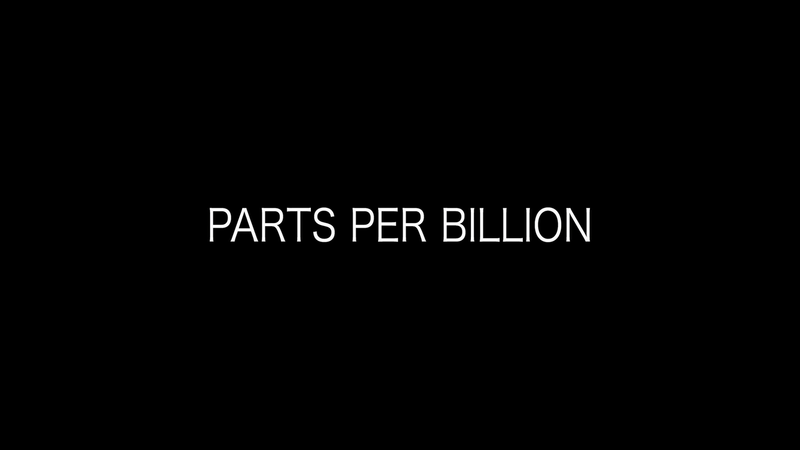 Parts Per Billion had a lot going for it including an impressive cast who, Frank Langella and Gena Rowlands especially, turn in fine performances it’s just that the story never quite gelled and some of the character’s actions were beyond dumb. But beyond that, it was a slow and honestly boring movie to plod through and there are plenty others with a similar plotline that are a lot better (see: Contagion and Perfect Sense). Parts Per Billion tells the story of three couples — Andy (FRANK LANGELLA) & Esther (GENA ROWLANDS), Len (JOSH HARTNETT) & Mia (ROSARIO DAWSON) and Erik (PENN BADGLEY) and Anna (TERESA PALMER) — along with friends and associates, forced to make life-defining decisions in the face of a biological catastrophe that threatens to destroy the human race. As the pandemic spreads and civilization is thrown into chaos, generations old and young must each make the ultimate decision that leaves us wondering: will love survive? This release comes with a slightly glossy slip cover. No features were included. Parts Per Billion hunkers down onto Blu-ray presented in 1.85 widescreen aspect ratio and with a 1080p high-definition transfer. 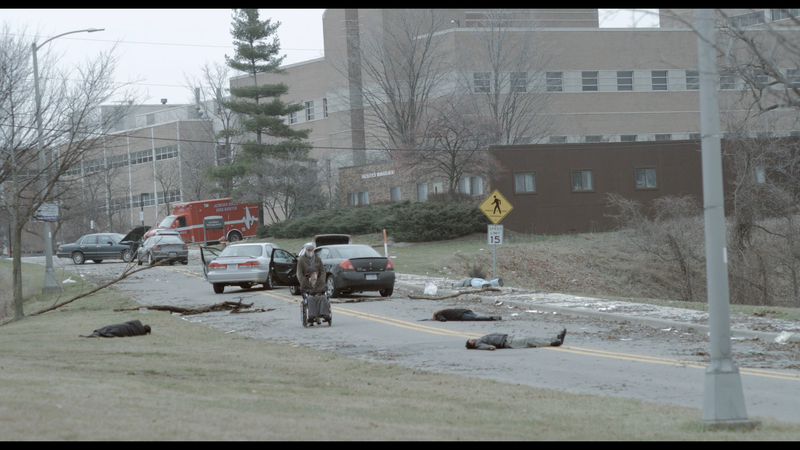 The picture isn’t terribly pretty looking, as demonstrated in the screen captures, where certain scenes are washed out I suppose to give that desolate, apocalyptic vibe the filmmakers were going for. Otherwise, the detail levels aren’t bad and there weren’t any noticeable flaws. The Dolby TrueHD 5.1 track is fairly impactful from the crisp and clear dialogue coming through the center speaker while the rears and front channels are mainly used for ambient noises and the dramatic score. Although it’s nothing amazing or anything to write home about, but it’s effective enough. 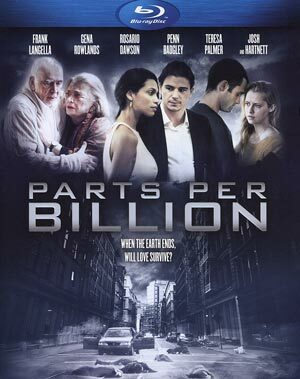 Overall, Parts Per Billion had a lot going for it including an impressive cast who, Frank Langella and Gena Rowlands especially, turn in fine performances it’s just that the story never quite gelled and some of the character’s actions were beyond dumb. But beyond that, it was a slow and honestly boring movie to plod through and there are plenty others with a similar plotline that are a lot better (see: Contagion and Perfect Sense).